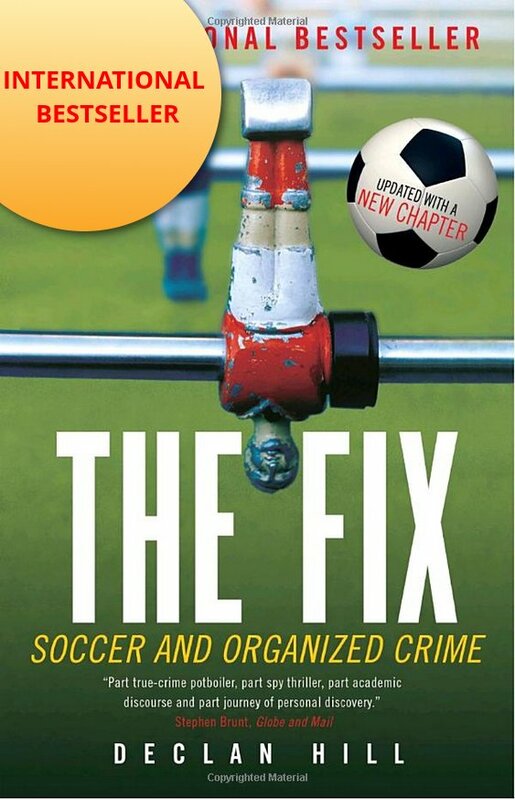 Zombie Organizations: Interpol, WADA and now FIFA? As the New Year dawns across the sports integrity world, there are a number of vast zombie organizations staggering across the corporate landscape like half-dead creatures. They have no life, energy or drive. They have given up their fundamental purpose.Their leadership has failed them. They are the institutional living dead. First, let us be fair, many good, decent people work for them. They are trying to do the best they can in difficult circumstances. This article is not an insult them, rather it is to say the truth about their hideous, half-dead organizations that are, now, devoid of purpose. Their ‘red-notices – international arrest warrants’ are a standard joke in most police forces comedy nights. (In a seperate article, I will share how I tracked down a notorious and presumably unfindable criminal under an Interpol ‘red-notice’ in two hours in Moscow). However, the difficulties of the last two decades pale when contrasted to the difficulties of their last two months. Sadly for him, Mr. Meng does not seem to have been doing a good enough job of rounding up Running Dog Imperialist Capitals, or non-President Xi supporting state governors or whatever the faction of Communist party officials running the Chinese government now calls its bureaucratic enemies. On September 26th, Mr. Meng returned to China for a series of routine meetings with officials there. The last that anyone has heard of him was his wife in France who received a cryptic text saying, ‘Wait for my call’ with an emoticon of a knife. Mr. Lee has been disappeared. This is standard Chinese government practice for dealing with their opponents. They do not deal in rule of law or any other international-observed nicety. They just lock the person up. Treat them brutally until they break. Then put them on a show trial which features lots of choreographed confessions and tearful expressions of contrition. No surprise there. We are dealing with the Communist Chinese government. They are the collective representation of one of the worst mass murderers in the history of humanity. The surprise is Interpol’s reaction to the kidnapping of their own leader. Nothing as in zip, zero, zilch, niente. There was actually more international media fury on the possibility that his replacement as President of Interpol might be a Russian than on the fact that the Chinese government is now so outrageously brutal they arrested the head of an international organization. According to a feature interview with Mr. Meng’s wife in The Guardian (https://www.theguardian.com/world/2018/nov/18/wife-detained-interpol-chief-faces-down-china-grace-meng-hongwei), Interpol officials have not even bothered to meet her. Imagine a murder investigation (which sadly this case now, may be) where the police officers do not interview the victim’s wife? The French National Police to their credit have taken the situation seriously and they have put Mrs. Meng under 24-hour protection. How can you take seriously an organization who allows its president to be captured and disappeared by the Chinese government? It cuts to the very credibility of the organization. Hot, dry desert. Mexican Federale police and a high profile Narco meeting with an Interpol officer. Interpol: Come and help us. We will be able to give information seminars complete with Power Point presentations to police all over the world. Mexican drug dealer: You? You cannot protect the most important man in your own organization. How could you protect me from some of the most vicious, well-connected criminal gangs in the world? Wet, rainy Brussels. A meeting between a high-level Belgian law enforcement officials and Interpol. 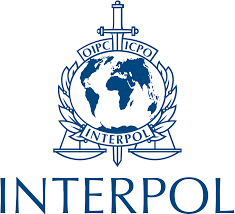 Interpol: Congratulations! 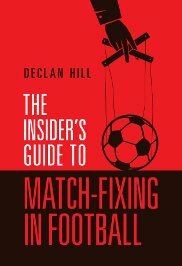 You Belgians have just done an amazing investigation into alleged money-laundering, match-fixing and official corruption in European football. Interpol: Please come to Lyons and share your information, sources and contacts so we can educate police forces around the world. Belgian Law Enforcement Official: F*** off. You get the picture. Interpol is dead in the water. I mean it still has a headquarters, people working there but as a living, breathing organization – it is over. Speaking of the Living Dead – welcome to the World Anti-Doping Agency (WADA). Since the night of the long knives in September when the non-repentant, state-sponsored Russians were allowed back into the Olympic movement, WADA has staggered along losing good people as quickly as Henry VIIIth got rid of wives. 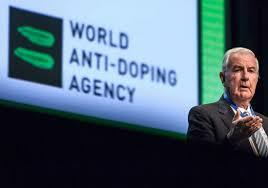 The link between the zombies of WADA and Interpol is that in both cases it was the leadership who betrayed the fundamental purpose of the organization. The good people in both institutions have been let down by their bosses. However, the most surprising potential zombie of 2019 is FIFA. You can say many things about FIFA. It is an organized crime gang that was run by criminals who scalped their own tickets, scammed sponsors and demanded bribes for broadcasting rights – (that’s the opinion of the U.S. judicial system). But you cannot accuse it of neglecting its own fundamental purpose- running the world’s most successful sporting tournament – the World Cup. Yet now, according to the excellent Football Leaks project, run by Der Spiegel journalists (http://www.spiegel.de/international/topic/football_leaks/) FIFA president Gianni Infantino is considering doing exactly that. FIFA or rather Infantino is on-off again about selling the World Cup and all its auxiliary rights – broadcasting, sponsorship, choice of location to a group of Saudi investors for $25 billion. Infantino will be the nominal president of this agreement. This may be good for Infantino personally but what the rest of FIFA will do is unclear. Here is the warning for other people working in healthy organizations. Like their fictional counterparts Zombies love the blood of the living. Watch out for these zombie organizations to come lurching out of the darkness at conferences to propose alliances and sharing of information. 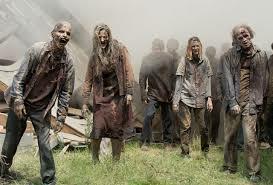 When the representatives of these Zombie organizations do come for your institutional blood, do not delay, speak to them or think, just run far and fast!